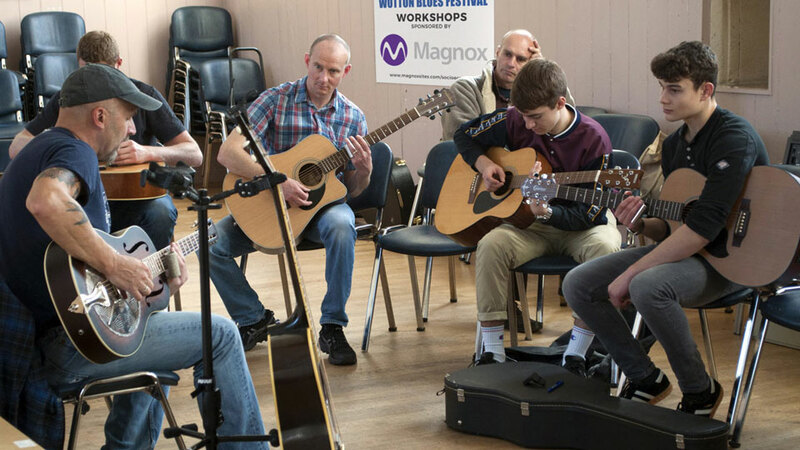 Following last year’s resounding success, we again have free blues workshops and tutorials taking place at the Festival, all kindly sponsored by Magnox from the company’s socio-economic scheme. Places are limited on these free workshops – so booking in advance is essential. Easy to learn 12 bar blues with all of its own shuffles and licks. Bring your own harmonica (10 hole) or buy one at the workshop on the day. This is an acoustic blues picking workshop where Phil will be taking you through a blues in E. All welcome, just need your acoustic guitar. Mark Faulkner brings a great wealth of knowledge – come along and learn from one of the best blues keyboard players in Gloucestershire. Steve’s workshop was the most popular last year, and now he’ll introduce you to slide guitar techniques. Bring along a guitar and slide. 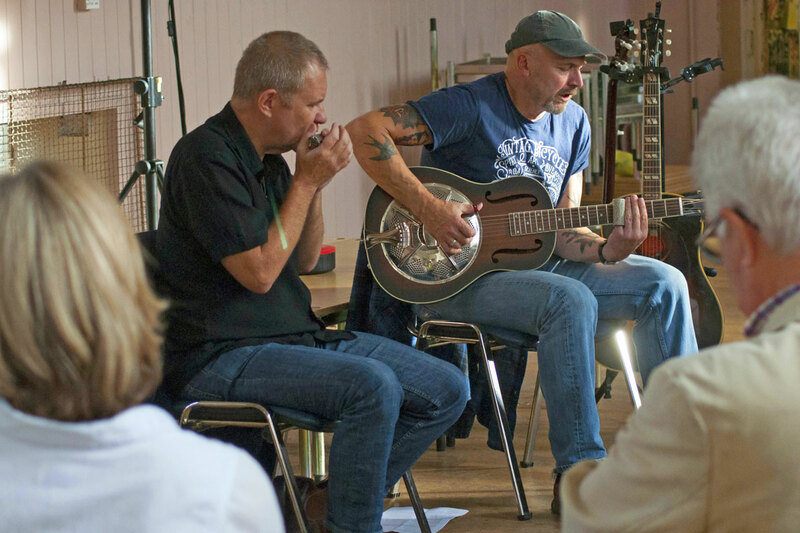 A tutorial session with Steve Page and Ben Hewlett, performing “the Story of the Blues”. Advance booking is essential as there are limited places available. Please call 07594 648185 or email workshops@wottonbluesfest.org to secure your place.